This tight flat .3 mile racing facility located in Halifax, Nova Scotia, features fully working pits and A.I. for 27 opponents. Known as one of the jewels of the Canadian Maritime racing scene, Scotia Speedworld PST was constructed via a team effort lead by Wayne “Bowtie” Anderson which began over 3 years ago. Another important contributor was MattF, an avid fan of Scotia Speedworld who went to great lengths to provide tons of reference materials and photos which proved to be essential in bringing this NR2003 short track project to fruition. Then along entered PST’s Matt “Gil’ Gilson, who chipped in by doing what he does best by adding a ton of detailing to the track which virtually brought the track to life. 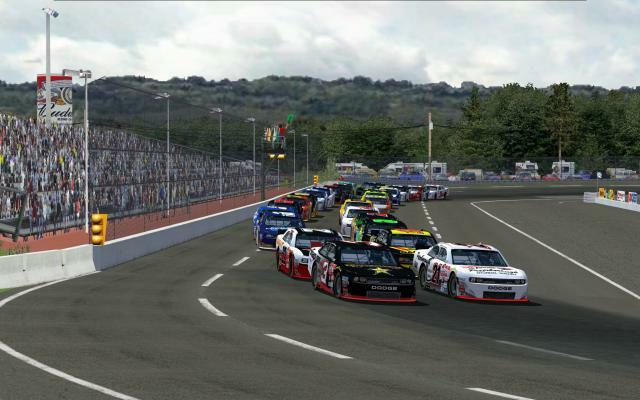 Like all of our PST track projects, Scotia is a shining example of teamwork and the NR2003 community coming together. There are several people who need to be recognized for their contributions. These talented people include: Wayne Anderson, Matt Gilson, J.R. Franklin, Ian Smythe, MattF, Aaron Maynard and Carl Sundberg. In addition to them, there are some others who made objects, textures, etc. that were used in this project. Please be sure to read about all of their contributions in the Scotia_Speedworld_PST_README.txt included in the track folder. There are also some very important notes in there about the A.I. and how to get the best results when racing on the track in NR2003. 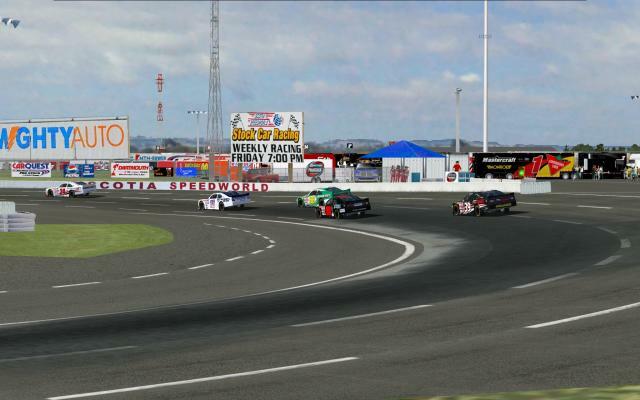 This track brings the NR2003 immersion factor to new heights due in no small part to the custom objects modeled by Bowtie Anderson that provide an uncanny resemblance to the overall surroundings of Scotia Speedworld. So now it’s time for some hard charging short track action Canadian Maritime Style! So buckle in and…. Enjoy!